LINCOLN, Neb. — The Huskers wrapped up their final padded practice in Lincoln of the 2016 season on Thursday. They will have one more practice on Friday before leaving for Nashville. For seniors like Sam Cotton, that reality is bittersweet. 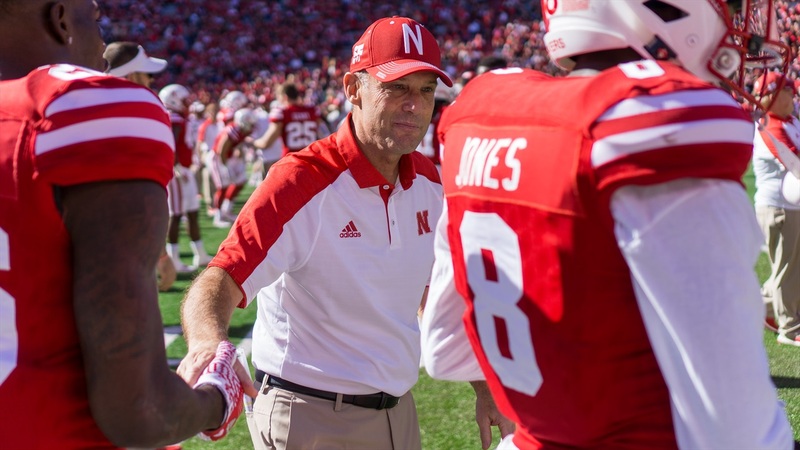 Coach Mike Riley described what the team did during Thursday’s practice, as well as how he approached this season’s bowl practices as a whole. “What we’ve tried to do with bowl practice, and I’ve tweaked it every year that we’ve done it a little bit, but I do know you have to have a combination of preparation for the team, kind of the knowledge of what they’re doing and practicing against what they do defensively, offensively, all that stuff with scout teams, but I think you have to stay sharp with playing in practice with speed,” Riley said. “So we have basically rotated every day between Tennessee and playing fast, ones against ones. “Today was exclusively interaction, ones against ones. We did a two-minute drill, ones against ones. We did a red zone skelly ones against ones. We did first and 10 team, they did 16 full-speed plays — not tackling but everything else — ones against ones. And then we did third down team; I think we did 14 third down plays ones against ones. We try to run the calls that we’re going to use in the game but we do it against the Huskers so the guys can just play football. I think you need a combination of scout team stuff and speed to stay sharp. Frankly, what I do know, I don’t know if it’s age or what, I kind of hold my breath with all of these interaction practices, make sure we get through OK physically, and we have or we did today, so that’s good. Riley confirmed that senior safety Nathan Gerry and junior cornerback Boaz Joseph have both been ruled ineligible to participate in the bowl game. As for injuries, Riley still hasn’t completely ruled out senior quarterback Tommy Armstrong Jr., but it sounds more and more likely with each passing day that Ryker Fyfe will start at quarterback against Tennessee. At running back, Riley had both bad news and good news to share. Riley said that if Newby is back close to 100 percent he will get his normal amount of work as the starter, but both Devine Ozigbo and Mikale Wilbon will get a chance to play as well. Both of Nebraska’s right tackles have dealt with injuries at various points this season, but Riley said both David Knevel and Cole Conrad have been practicing. Riley reiterated that Jordan Westerkamp will not be able to play in the bowl game and said that fellow senior wide receiver Alonzo Moore has been in and out of practice with an ankle injury. Riley said all of the players they will be without is a tough blow, but he has faith in the team’s depth at all of the affected positions. Riley said they got wind that Gerry would be ruled ineligible early in the week and had it confirmed on Wednesday. They’ve been preparing to play without him and have been getting Reed more reps in practice in order to prepare for the bowl game. As for the quarterback situation, Riley said Fyfe has been able to take snaps under center the last couple of practices. Previously, the broken bone in his left wrist had limited him to take snaps out of the shotgun. Riley elaborated on what he’s seen from Fyfe in games and in practices and described when the senior from Grand Island is at his best. Riley said the Huskers will likely spend a lot of the bowl game in their nickel and dime defenses in order to deal with Tennessee’s offense. Junior linebacker Chris Weber compared Tennessee’s offense to that of Ohio State and Maryland. Cotton said he’s looking forward to the entire experience of being down in Nashville with his teammates.